The Mike Benign Compulsion: Catch The Mike Benign Compulsion live on-air (and over the Internets)! 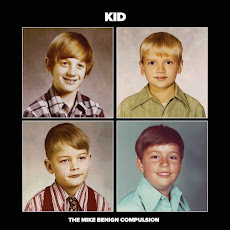 Catch The Mike Benign Compulsion live on-air (and over the Internets)! As we close in on the official March 8th release date of "Here's How It Works," the band will be playing two live on-air shows. In both cases, we'll be playing a bunch of songs from the new album, full-on loud and electric-like. 91.7 WMSE - At 6 pm CST on Tuesday, March 4th, the band will be featured on WMSE's Local/Live program. Get the scoop on our WMSE appearance here. Streaming info is on the WMSE home page. Hooray for Frontier Radio! 88nine Radio Milwaukee - On Thursday, March 6th, the band visits 88nine Radio Milwaukee for that station's 414 Music program, which airs live at 4 pm CST. More info on 414 Music is available here. And you can also stream 88nine from the station's home page.